What is Image Management Software? Image management software has become a vital tool for many businesses handling their documents digitally. Without it they would be left with a mess of unorganised files which would completely defeat the object of going digital in the first place. Many businesses now work with digital documents. They spend a lot of their working day creating files on computers and managing them electronically but before these days, documents were managed manually in filing cabinets, folders and boxes. Because of compliance with retention periods, they would be kept for several years taking up a great deal of space. Now, the best practice is to scan these old documents to a digital format so they can all be stored in an electronic system or outsource to scanning services to do it for you. Cost savings from abolished off-site storage costs, onsite office space and unproductive tasks. Space savings from freeing up valuable office space previously wasted by manual document storage. Remove compliance worries with secure digital files that are encrypted, backed up, fully password protected and take up only virtual space to aid with file retention. Boost office efficiency with quicker file retrieval, easier document sharing capabilities and a more organised management system. How does image management software help? Once you have your digital files (images), they would need to be fully indexed. If they were to just sit on a computer system as non indexed images, they would be no use to anyone. So this is where image management software comes into it. The software can organise your files into an easy to manage system where you can search, retrieve and send documents whenever you need to. Without image management software, your document management system would probably not differ much from the old manual system where it was difficult to retrieve files when you need them. Here at Pearl Scan, we provide scanning services to companies from a wide scope of industries to enable them to manage files digitally and take advantage of all of the benefits mentioned above and more. 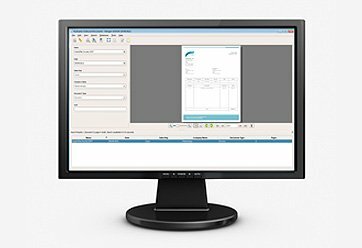 To aid their document management once we have switched them to digital, we also provide free use of our image management software, Halogen. Halogen was specially designed in house to provide a simple, yet intelligent environment in which to search, retrieve and index digital documents. It’s easy to use interface has helped even the most ‘technophobe’ of clients to manage their files with ease. If you would like to know more about Halogen or any of our electronic document management services, check out our website or give us a call today and we’ll be happy to help.